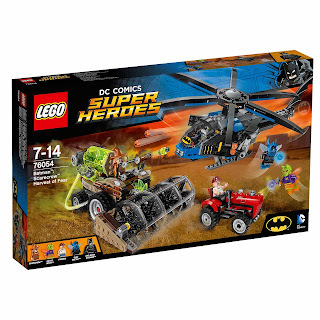 come with a batman's batcopter, a scarecrow's harvester and a farmer's tractor. 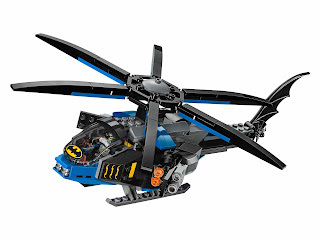 the batcopter has an openable cockpit, 4 pop out stud shooters and a 6 blade spinnable rotor. 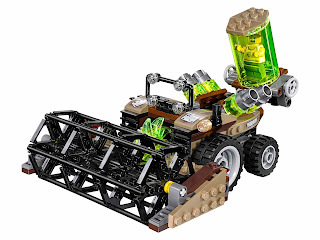 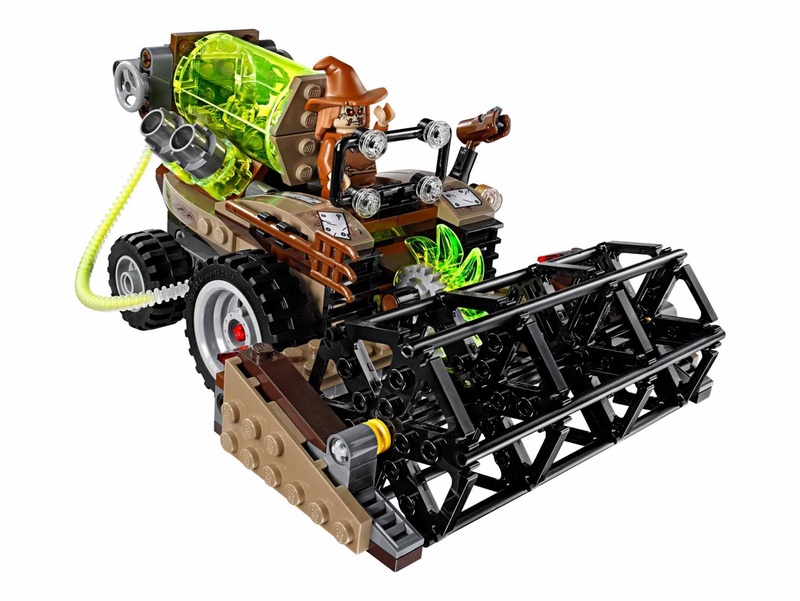 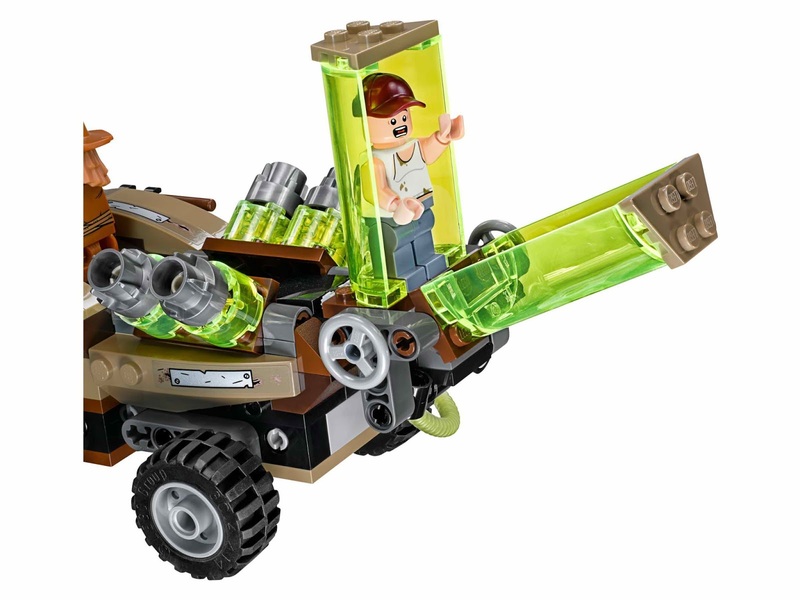 the harvester has rotatable cutters, an openable transparent green fear gas tank and a detachable fear gas stud shooter. 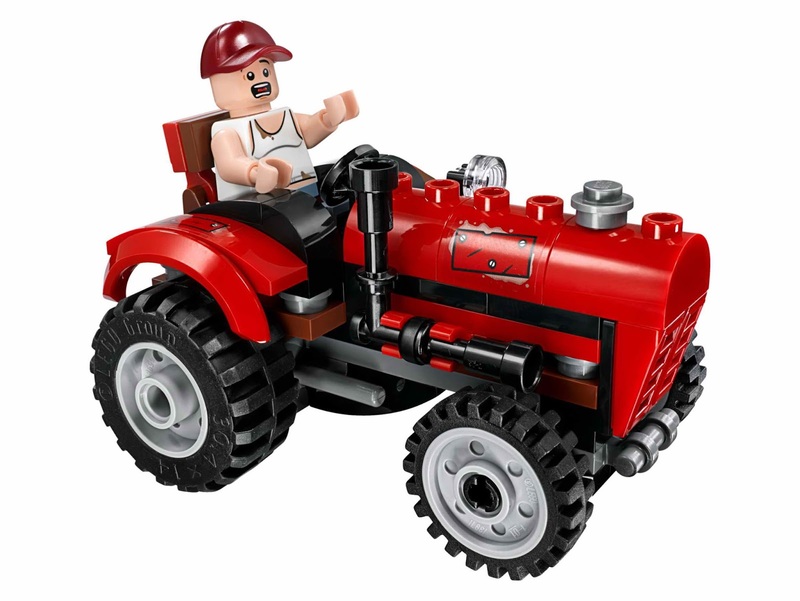 the tractor has a steering wheel and an exhaust pipe. 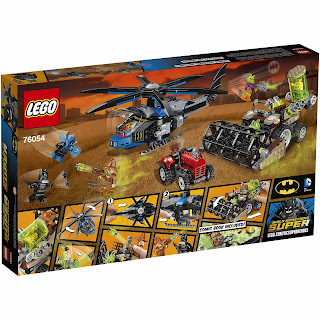 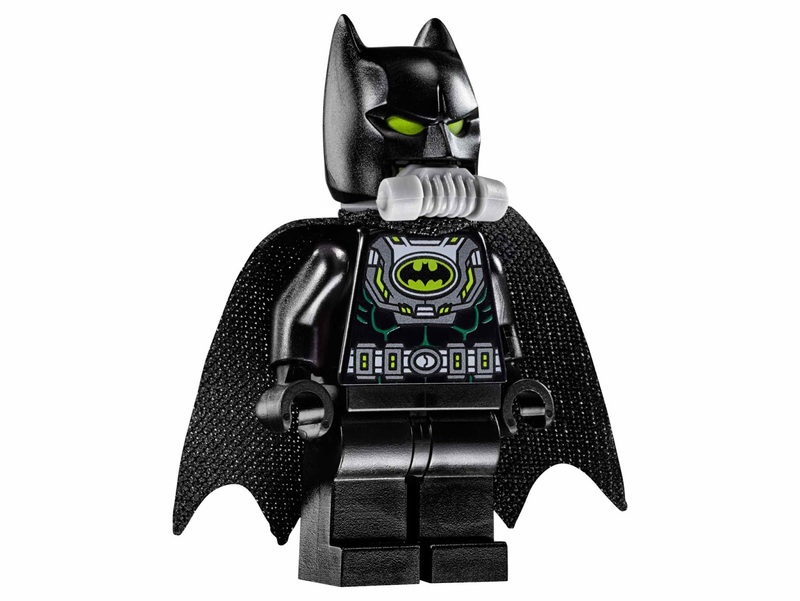 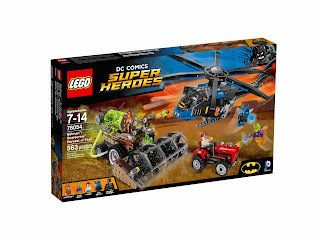 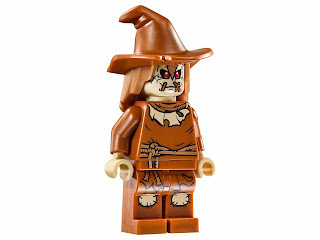 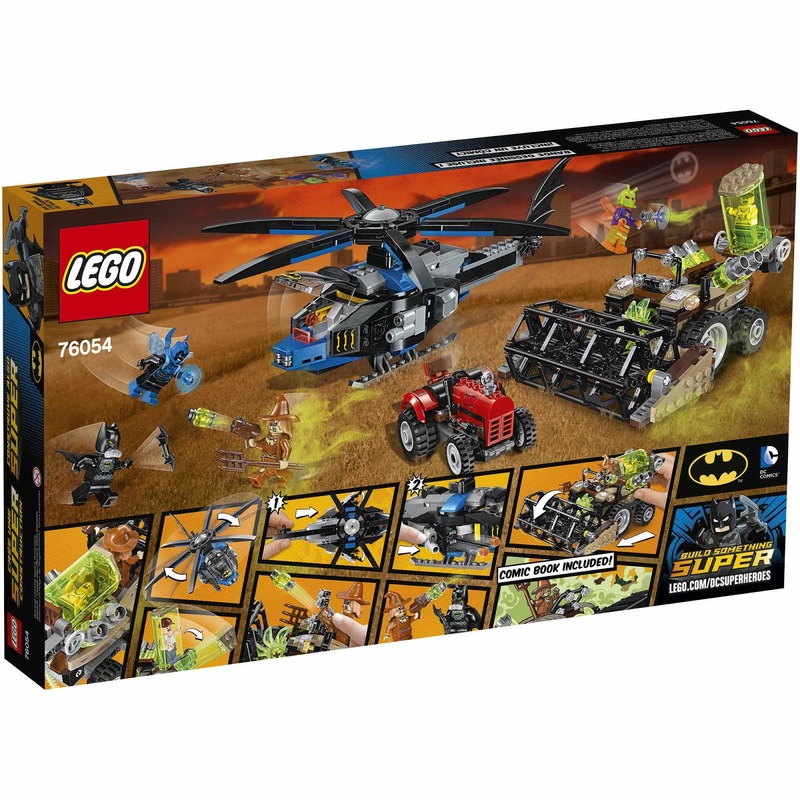 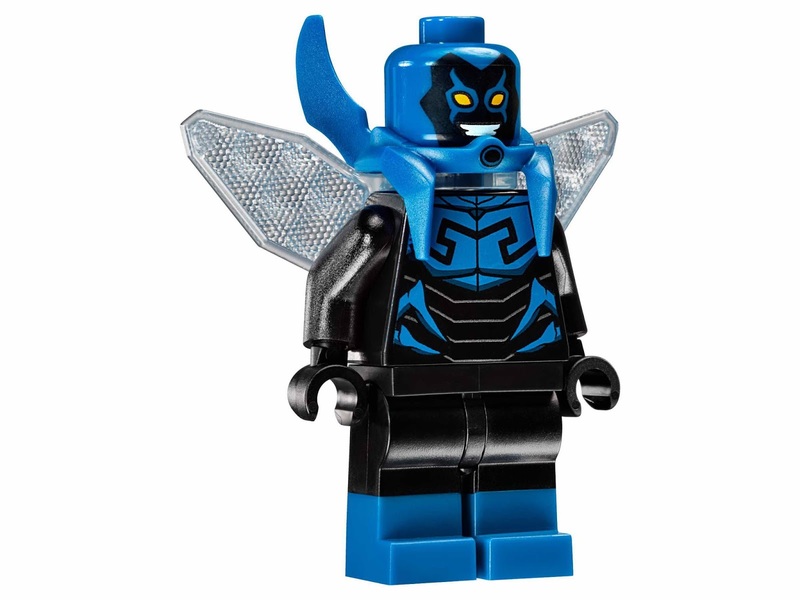 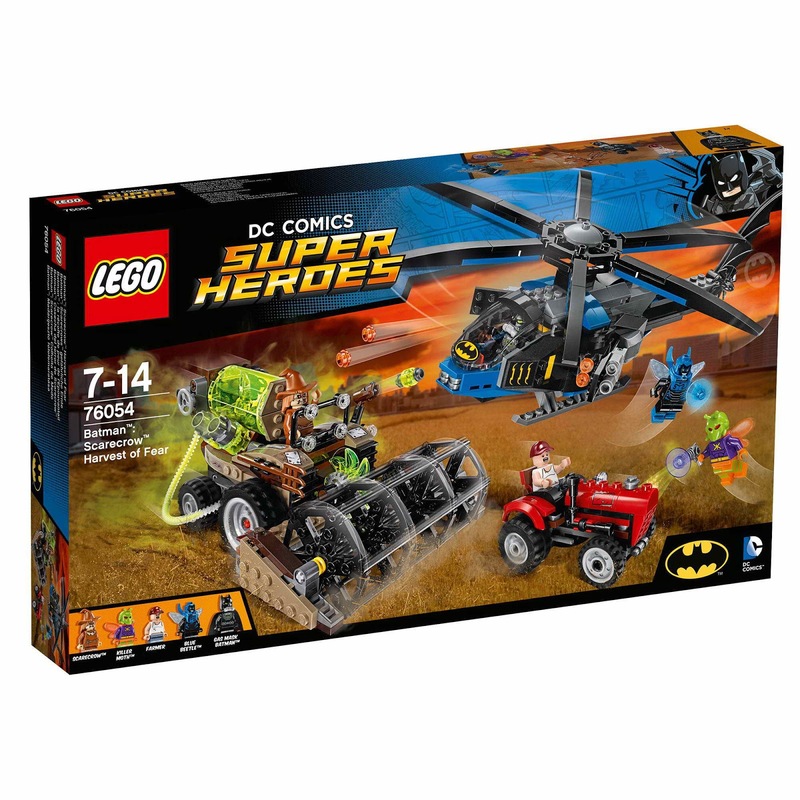 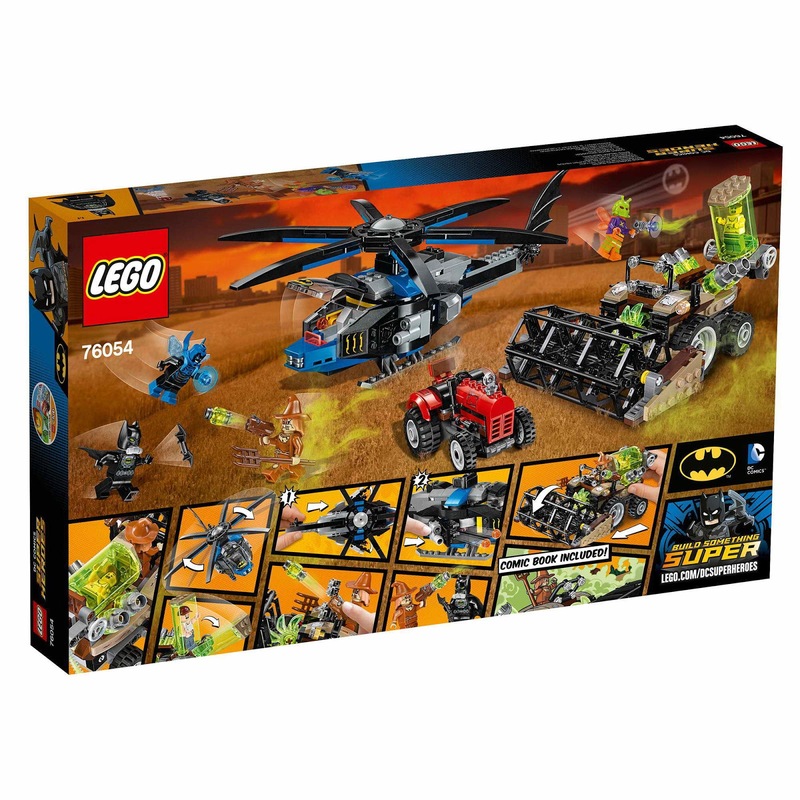 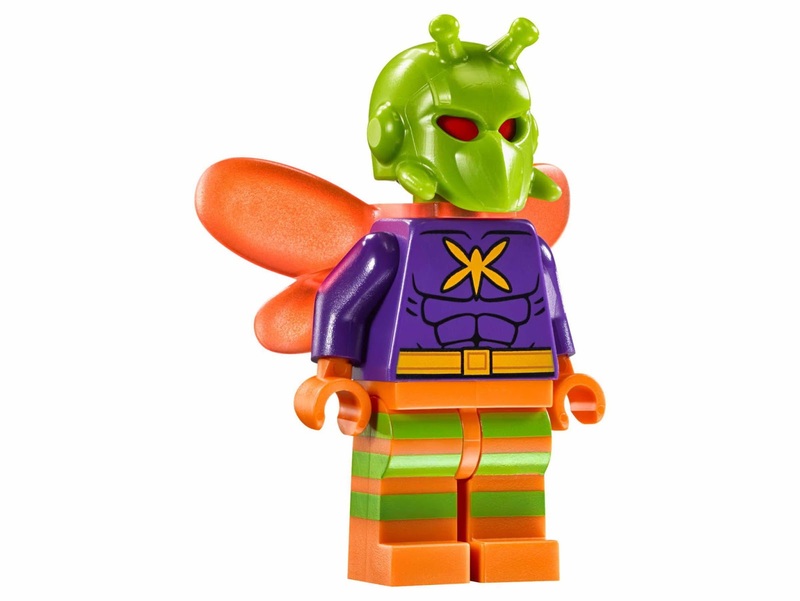 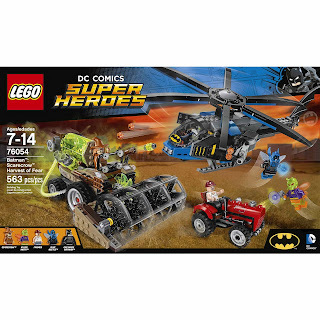 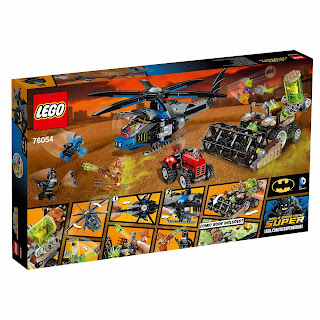 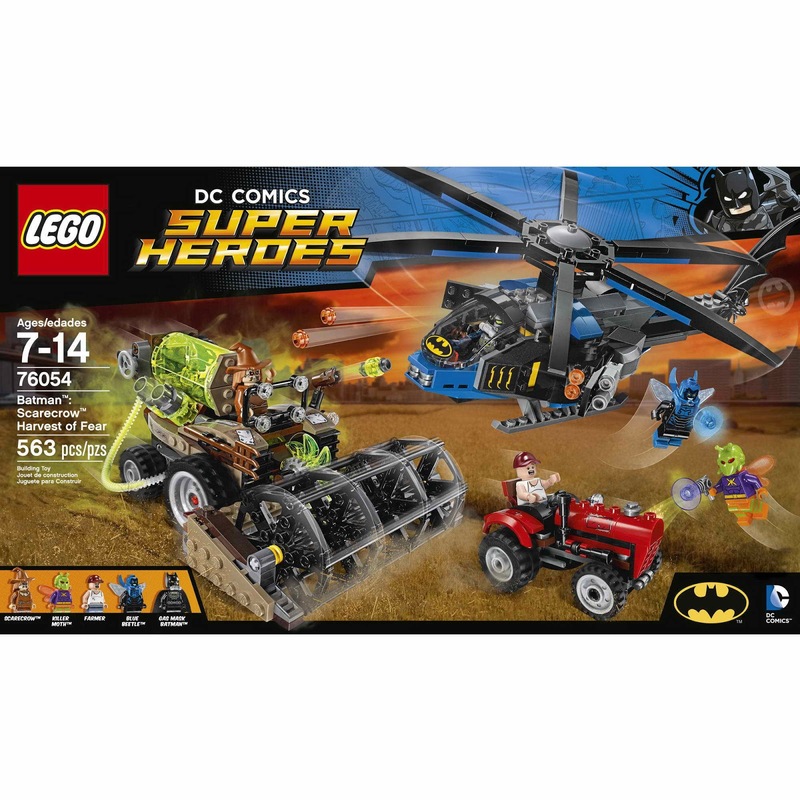 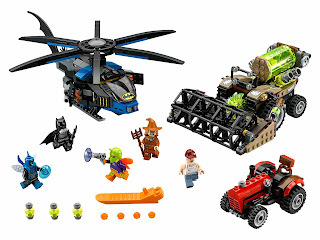 minifigs included a gas mask batman minifig, a blue beetle minifig, a scarecrow minifig, a killer moth minifig and a farmer minifig.